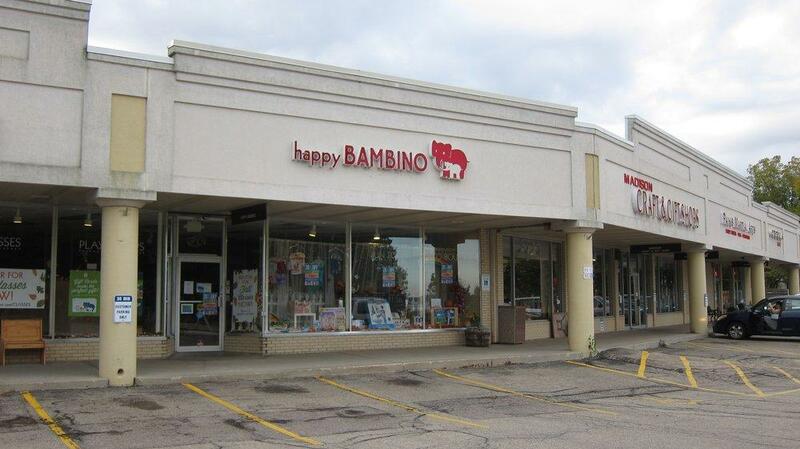 A mom shared Happy Bambino in Madison, Wisconsin as a breastfeeding friendly baby boutique. She recommended using the "Back group room" as an area to breastfeed or breast pump. "We specialize in bellies, babies, breastfeeding, and big kids! Happy Bambino is a resource center - offering arts and movement classes for kids, prenatal and parenting resources, and a fun retail boutique!" "Do you need to pump? You're welcome to pump here! Did you know that the Breastfeeding Coalition of South Central Wisconsin maintains a directory of Pumping-Friendly locations around Madison and Dane County - including Happy Bambino!" "Happy Bambino strives to promote & protect breastfeeding for moms, babies and families: BREASTFEEDING-FRIENDLY ENVIRONMENT! Happy Bambino provides a nursing-friendly environment. Join us in our Resource Center or one of the comfortable chairs throughout the retail store. Pumping is also welcome here!" Note: Wisconsin also legally protects a mom's right to breastfeed in public without discrimination.